Both occupying a small footprint chassis (108 x 45 x 160mm), both powered by a wall wart 12V power supply and tipping the scales at around 340g or so, the PH-1 is aimed at moving magnet cartridges while the HA-1 is a bridge unit that connects to the PH-1 and allows you to play moving coil cartridges. 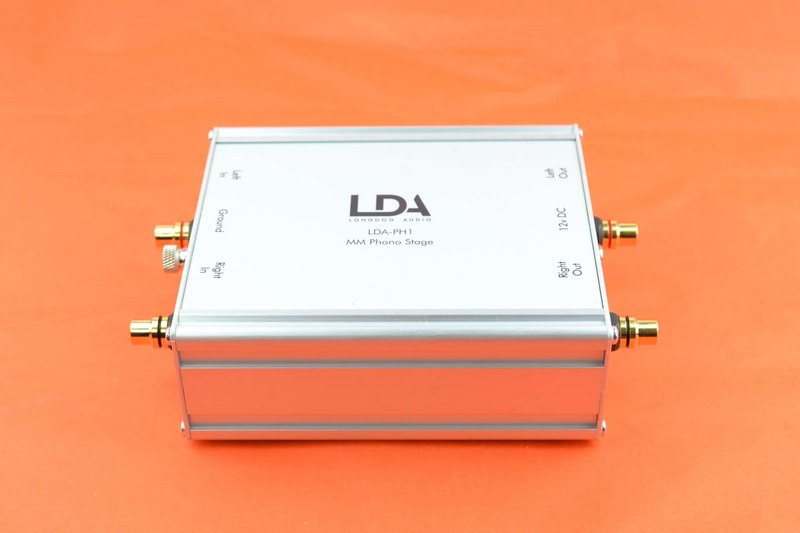 The PH-1 makes use of both isolated and regulated power supply technology combined with second stage inductive filtering and third stage active regulation. 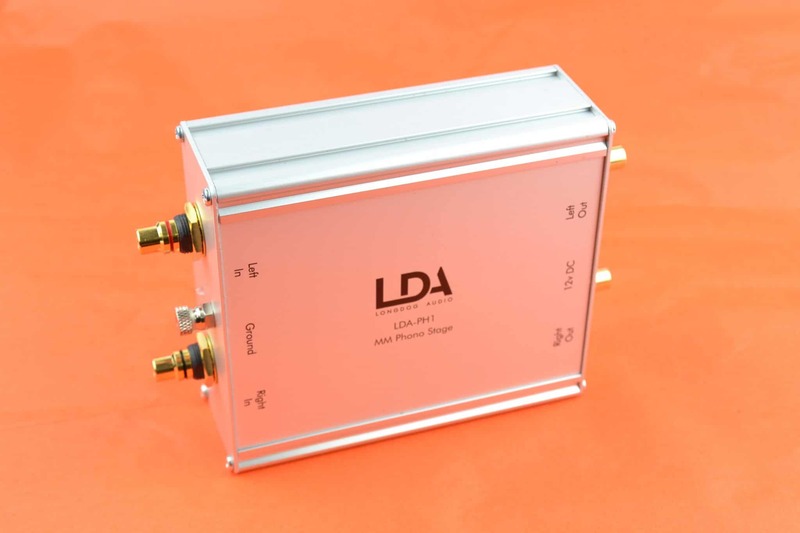 “High accuracy RIAA equalisation is achieved by the use of precision components throughout,” said owner and designer, Nick Gorham. There are no electrolytic capacitors in the unit, all filtering and smoothing is done using film capacitors. The unit is housed in aluminium casework and features gold-plated RCA sockets. 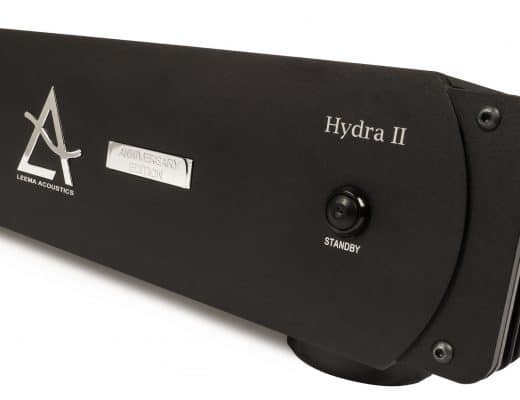 The HA-1 is technically known as a ‘head amp’. 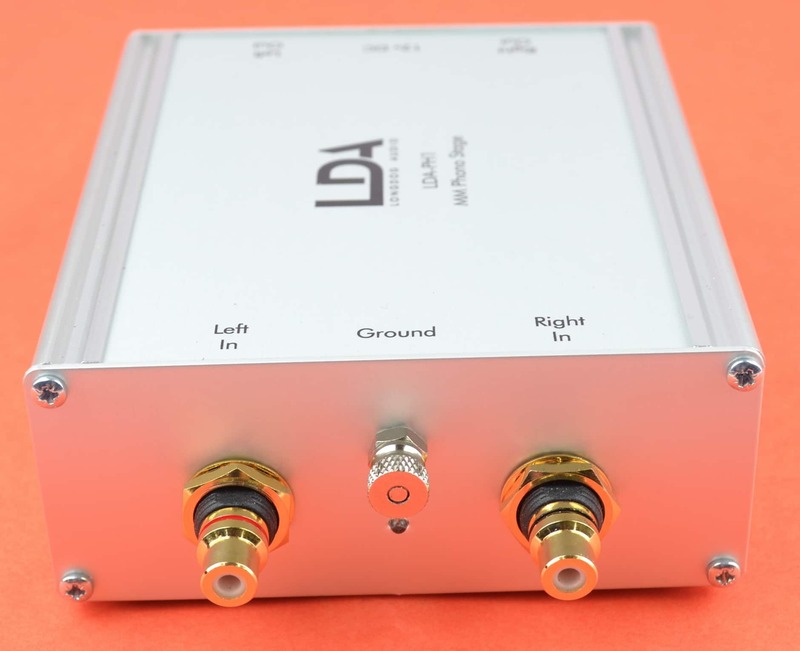 This doesn’t mean a headphone amplifier. 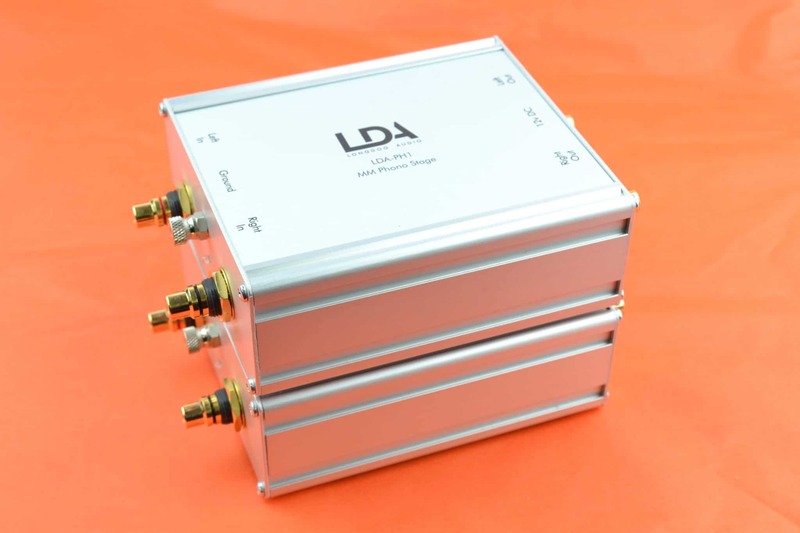 It’s a bit like a step-up transformer which you attach to a standard moving magnet phono amplifier. When connected, the combo adds 20db of gain and allows you to play moving coil cartridges safely. The reason that a head amp is called a head amp and not a step-up transformer is because the latter is passive and not powered while the former is active so you plug it into the mains. The build quality of both boxes is excellent. For the price, they feel solid and provide confidence during use. I particularly like the fact that the ground knob is centrally placed, up and away from the RCA sockets. My pet peeve is trying to attach turntable cable ground wires onto a phono amp’s ground connection with no finger room because the design is way too cramped. Longdog has got this – relatively minor but oh so irritating – problem right. I began with the MM box first and used the Kansas LP, Leftoverture, a slice of power rock/prog reissued by Speakers Corner. Before the sound tests began in earnest, I noticed that the gain on this unit was a little high, I had to lower my pre-amp gain by three notches. This is not necessarily a bad thing although I prefer not to have emphasis here. I find it can add unnecessary stridency in terms of the upper mids. Almost like having a smidgeon of compression in and around the highs. 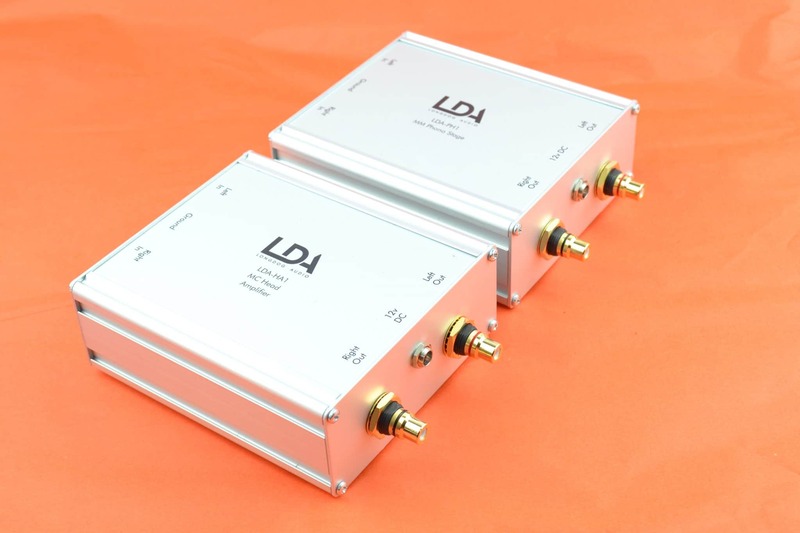 Budget phono amps are tough to build and get right in sonic terms. A good amp will shun any type of midrange brightness or bass blur and will provide a measure of accuracy. They will sound pretty clean and scrubbed and will normally be full of pace and energy. In isolation, they also sound pretty darned good and will entertain you with no issues. The problem with even pretty good phono amps at this price point is midrange insight and the overall structure of the soundstage. That’s why they’re budget and that’s why they’re affordable. 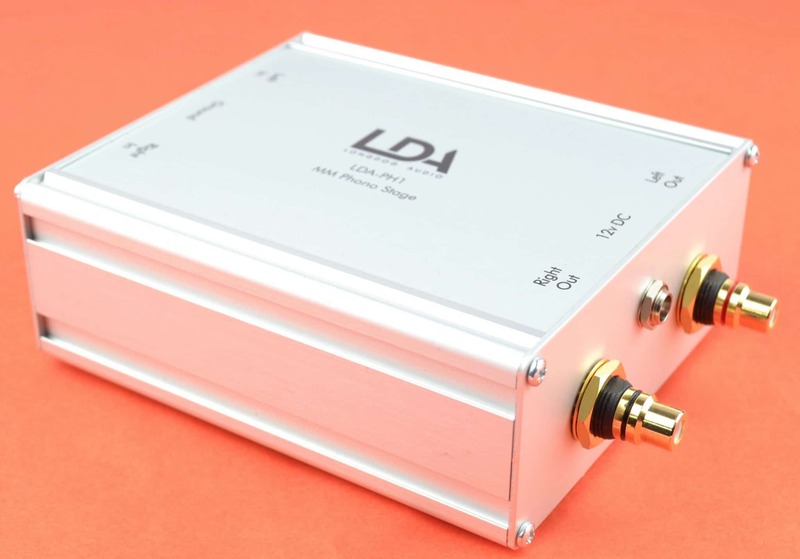 It’s rare for a phono amp from this budget stream to provide any sense of depth. If you’ve had experience listening to more expensive models, you’ll realise that phono amps in this sector can sound one dimensional. Literally. What I mean is, you feel that you could rise from your chair and approach the soundstage and actually see the edge of it and then nothing behind it at all. A soundstage created like a pane of glass, in effect. I’ve taken time to explain all of this because I want to illustrate how different the PH-1 is in sonic terms. To begin, there is a host of upper midrange complexity of offer which is a bit of a shock for this price, let me tell you. If you’ve ever played chess, you’ll know that you initially place particular pieces on certain parts of the board. That’s how the PH-1 presented the music here. The soundstage sounded like every instrument had been placed around the soundstage is a deliberate manner which gave the sound a welcome confidence. Then, when every one of them started belting out music, the entire picture provided that complexity I mentioned. Even then, with other models, you can often have the sound of a guitar bumping into the drums, causing midrange smearing and a claustrophobic sense to the presentation. Not here, the PH-1 provide enough space and air to give each instrument room to manoeuvre. Thus, the PH-1 was able to provide a satisfying combination of delicacy and substance, a fragility combined with a strength. Especially when secondary percussion ran hand-in-hand with a bass guitar, for example. 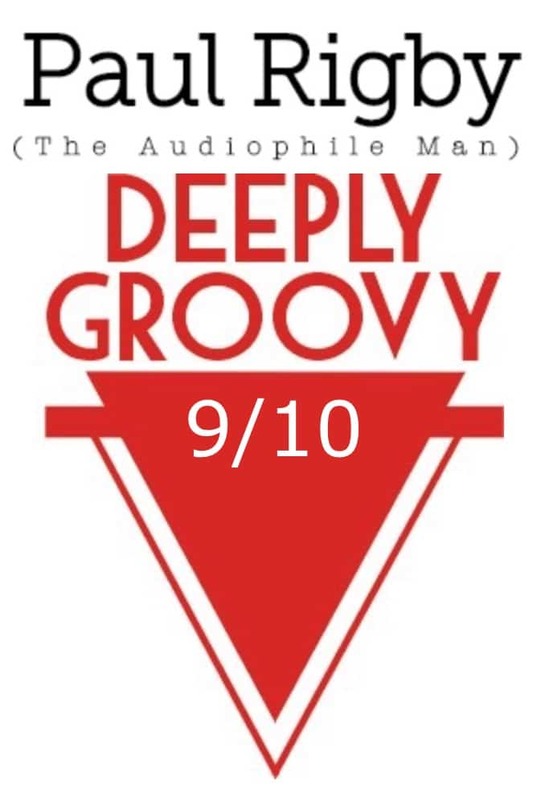 And while bass was strong, offering a meaningful impact and the mids were detailed with a treble that was admirably dainty, it was the overall mix that impressed me more and how balanced the overall sound was. Because of the purity of the build, the simplicity of the design and the direct nature of the construction to get the sound from A to B as fast as possible and without rating over noise creating mechanics, the extra gain I mentioned above wasn’t an issue, so shouldn’t be seen as a problem. Still, I would have loved to have heard that gain reduced, just to see what would have happened. I then plugged in the HA-1 and PH-1 together as a bridged combination (see the accompanying images to see how this combo works) and switched to moving coil and jazz via Sarah Vaughan and the Mercury original LP, Sassy Swings Again. At this point, I want to pause and digress slightly and pass on a tip. The Longdog gear is directly involved so I think it’s worthwhile putting this experience ‘on paper’. 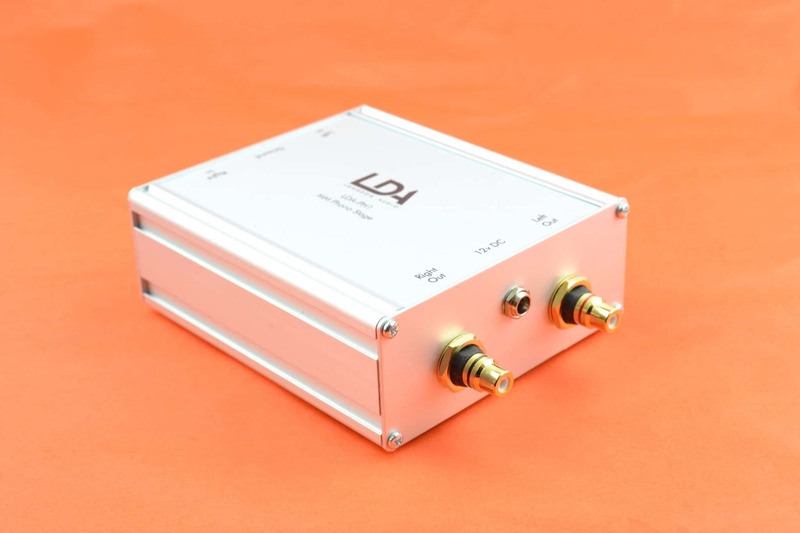 I had taken a break after reviewing the PH-1, had a coffee, made notes on my laptop, mooched about and then came back to connect both Longdog units to play a MC cartridge and so connected my reference phono amp first to help in listening comparisons to do just that. Only to be hit by an aggressive hydraulic drill and crackling noise from my speakers. 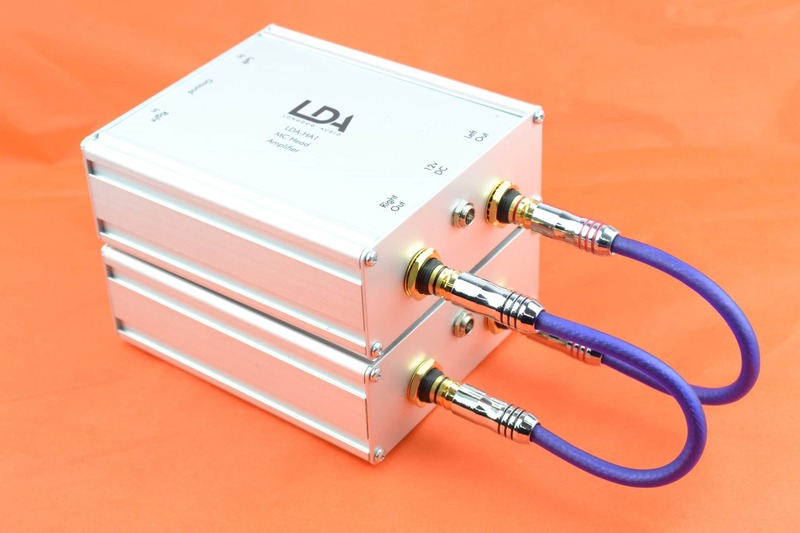 Thinking that there was a possible electrical fault in my reference phono amp, I decided to double check to confirm so connected the new Longdog (now) dual box set-up. The drilling remained. So the fault wasn’t with the phono amps. Also, the noise hadn’t altered in any way. From that point began two to three hours of mind-numbing filtering to exclude the turntable, then the pre-amp, the monoblocks, the speakers and even cabling and power blocks. I swopped in and out around three tons of equipment (well, it seemed – and felt – like it) to find the fault. The drilling sound remained. I sat, stumped. And then something hit me. I walked into the corner of my room and turned off my Wi-Fi Extender. Gone. The noise disappeared. I had forgotten to disconnect if while I was making those notes I mentioned above. I normally turn this thing off before I do sound tests because Wi-Fi normally produces a low burbling sound through my speakers but also veils the mids during play. 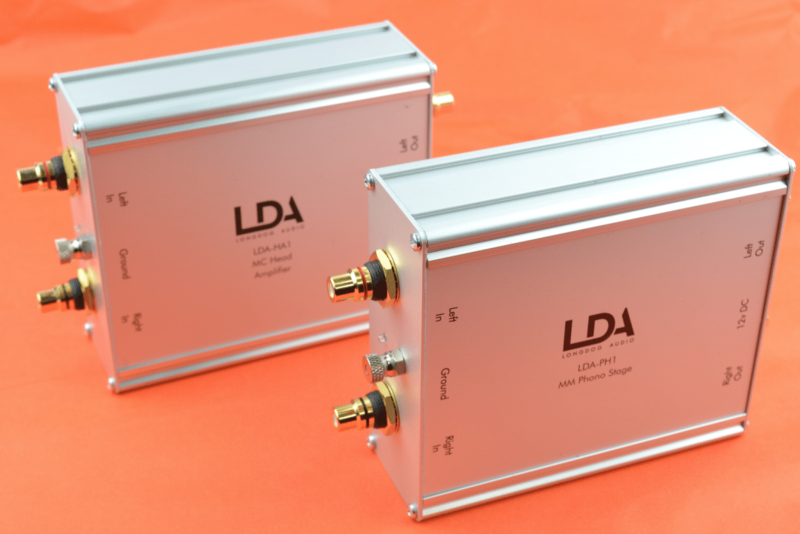 Why didn’t I recognise the sound using my lower cost phono amps? I assume that, at this price point, the inherent shielding is either less effective or missing altogether. Hence, with the Extender on, what sounds like a car purring via my expensive Icon Audio two box phono amp sounds here like armageddon with a low cost phono amp in play. The moral of the story? Check that you switch off all nearby Wi-Fi aerials, phones, laptops and the like before you play your music – especially if you’re using budget kit as I’m testing here. I now know just how susceptible and wide open this sort of kit is to outside influences so think laterally about other types of more insidious and less obvious noise that might cause issues, other electrical equipment that might ‘broadcast’ through the air or leak noise through the mains. If it looks and sounds suspicious, try your best to turn it off before you use your hi-fi. Although be prepared for a fight with the family if you shut down the Router. Back to the Longdog gear and the PH-1/HA-1 bridged combo. Maybe it’s because the bridge mode, by default, forces the signal to move through an additional step, that extra piece of hardware – two boxes instead of one plus a new set of cable interconnects, the midrange sounded a little warm and a tad veiled with a little bit less space than I really wanted. There was still plenty to like here with the bridged Longdog boxes providing a easy going presentation. Detail was available in abundance with effective cymbal taps in evidence and even shy piano sounds targeted by the ear. In additional there was no sign of any frequency nasties here. No bass bloom, midrange brightness or pinched treble. In general terms, the soundstage was well behaved and disciplined. Yes, there was a slight lack of excitement in terms of emotion and passion while dynamic reach was rather stunted because the mids sounded a little rolled off at the top but the warming approach to the bridged mode was also attractive and easy on the ear. Any hi-fi chain with a slightly aggressive edge to it would be effectively calmed by this bridged pairing and can be recommended as a cure for such a set-up. Both the HA-1 and the PH-1 offer superb structural designs and work well during tests. I need to break down the conclusion into pieces because it’s not a simple bottom line here. In fact, the HA-1 needs two conclusions. In ultimate terms, looking at the music output on its own merits and without taking into consideration any other factors, the reference music is not shown in its very best light through the HA-1. The sonics were solid, detailed, good bass and no horrible frequency noises but the upper mids were rolled off a little bit. But I’ll add this, the HA-1 will be a complete life saver for those on a budget who want to get in on the Moving Coil act. 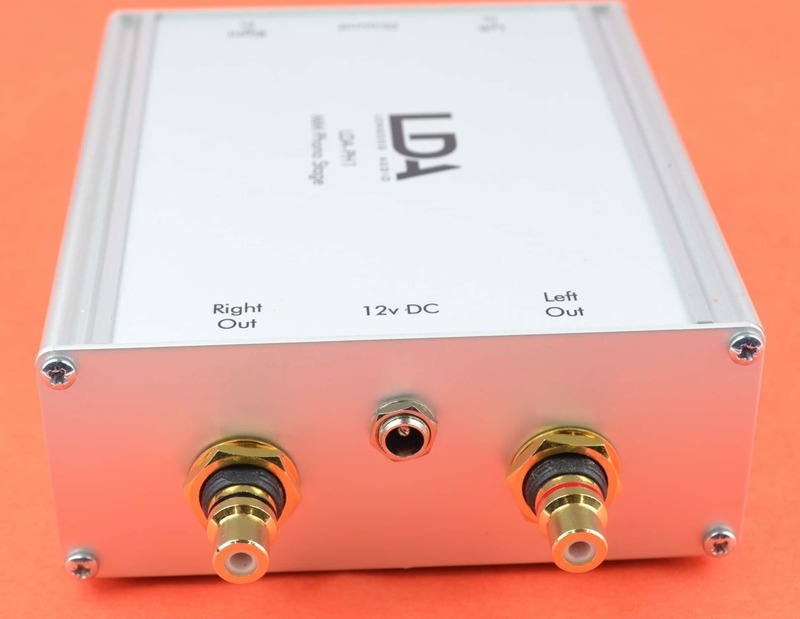 If you can’t afford £1,000 on a damn good MC phono amp, you already have a MM phono amp and you want to upgrade but only have £200 in the kitty then, on that score, £200 to be able to successfully run a MC cartridge is silly money. It’s chicken feed considering – in these specific and relative terms – how good the sound quality of the HA-1 is. Put another way? In black and white sonic terms, its not perfect but as a cheap moving coil phono amplifier upgrade? It’s a bargain. The star performer of this entire review, though – partly because of the purity of its position in the hi-fi chain as well as its inherent design – was the PH-1. This MM phono amp is an absolute corker and is highly recommended for any and all budget vinyl-based hi-fi systems. It provides both maturity and richness, in sonic terms and punches way above its weight. Buy it and be happy. Hi Paul, great review. I love seeing reviews of small, new home grown brands that seem to be getting things right from the start. I’ve been reading reviews for months trying to choose a new phono amp (I’m using the built in one in my elex-r at the minute). £200-£300 is my max. 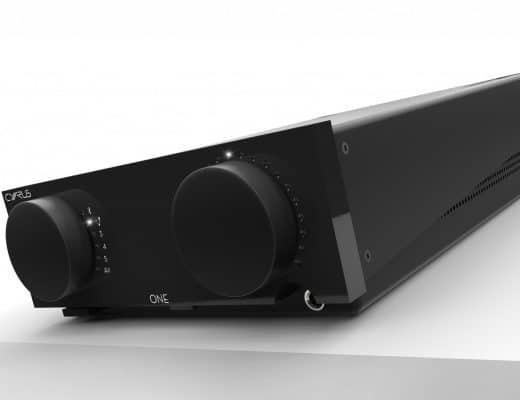 Do you think this will be a step up from the built in phono amp (it’s the only built in amp I’ve been impressed by)? Hi Patrick – thanks for your question. Yes, absolutely. 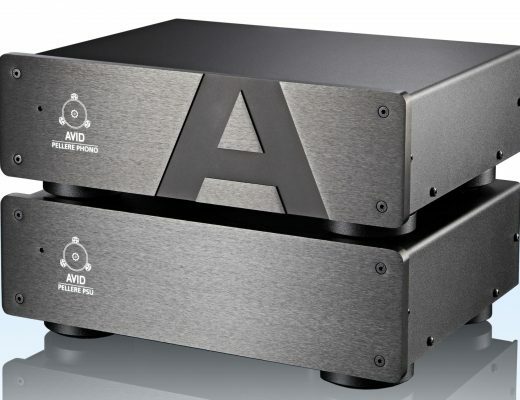 External phono amps are superior because they are not infected by electronic noise, which masks fine sonic detail, being away from the amp’s chassis and the electronics within it. Grab the Longdog, by all means. When in use, please keep it away from the main amp. Thanks Paul. I’ll give it a shot. I’m using an ortofon 2m red on my project debut 3 which sounds great but I’m always looking for upgrades.